Since the Academy Award for Best Original Song was first awarded in 1935, 71 songs have won the title of "Oscar winner." But of the well over 100 songwriters who have taken home the songwriting Oscar, how many, would you guess, have been women? The number is, you might guess, rather small, as it is with so many of the other categories honored with Academy Awards (indeed, if Kathryn Bigelow takes home the Oscar for Best Director on Sunday for The Hurt Locker as many are predicting, she will be the first woman ever to win that prize - as is, she is only the fourth female nominee): in this case, eleven. One might expect not to have to reach too far back in history for the first of these eleven, but in fact it was only the third year this category was awarded that the first female songwriter claimed the prize. Most folks no longer have heard of Dorothy Fields, but they have more than likely heard some rendition of the song for which she won her Academy Award as lyricist (with fellow songwriting great Jerome Kern, who wrote the music). 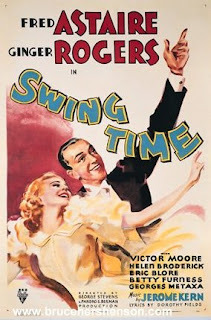 In the 1936 film Swing Time, Fred Astaire first sings "The Way You Look Tonight" as Ginger Rogers washes her hair in a bathroom nearby, and the melody reappears in the climactic dance sequence; the timeless song also makes significant appearances in Oscar-winning films such as Chinatown and Hannah and Her Sisters, as well as blockbusters like My Best Friend's Wedding and Father of the Bride. After 1937 there was indeed a lengthy expanse of time before the Oscar for Best Song went home in the hands of a lady: in fact, it was not until Marilyn Bergman won the first of her two awards, for "Windmills of Your Mind" from The Thomas Crown Affair in 1969. 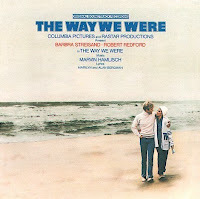 The 1970s saw two statuettes awarded to women, and while both songs were sung on film by one Barbra Streisand, she only wrote one of them; the other was the second of Alan and Marilyn Bergman's Oscar-winning songs, "The Way We Were" (from, oddly enough, The Way We Were), which won in 1974. Streisand, who had been one half of the only tie in history in an acting category when she and Katharine Hebpurn shared the 1968 Best Actress award, won her second Oscar in 1977 for composing the music for "Evergreen (Love Theme from A Star is Born)" along with lyricist Paul Williams. The first three years of the 1980s were kind to female songwriters at the Oscars (though maybe not to the musical sensitivities), as winning songs "Arthur's Theme (Best That You Can Do)" (Arthur, 1980), "Up Where We Belong" (An Officer and a Gentleman, 1981) and "Flashdance... What a Feeling" (Flashdance, 1982) boasted three women among the ten(!) total songwriters of the three award-winning cringers (all right, I'll give "Arthur's Theme" a pass). 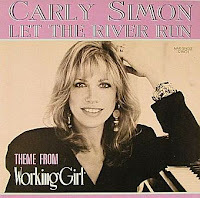 But it was not until 1989 that a solo female songwriter took home the little golden man, a feat managed by legendary rock songstress Carly Simon, who won for "Let the River Run" from Working Girl. Perhaps this feat was simply too huge for the machismo of the Academy to handle, but for whatever reason it was another fifteen years before rocker Annie Lennox and screenwriter Fran Walsh shared the Academy Award with Howard Shore for "Into the West" from The Lord of the Rings: The Return of the King, although that was also the year that The Lord of the Rings: The Return of the King won every category for which it was nominated (and then some). Carrying on the rock icon tradition, in 2007 Melissa Etheridge became the second and so far only other solo female songwriter to win the award, with her stirring "I Need to Wake Up," from Al Gore's eco-documentary An Inconvenient Truth. 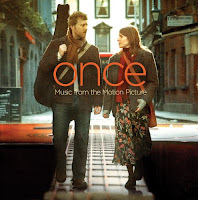 The following year, Markéta Irglová shared the Oscar for "Falling Slowly" (from Once) with one-time husband Glen Hansard. No female songwriter is nominated for the upcoming Academy Awards, so the tally will remain at eleven for at least another year. Hear a few of the Oscar-winning songs penned by female songwriters.